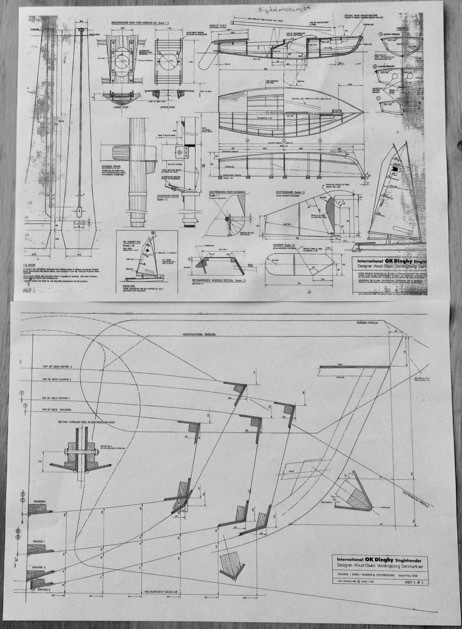 Knud Olsen’s OK-dinghy contructed in 1957 with the intention of a transition dinghy to the larger “Finnjolle”. This class is a frequent competitor in the World, European and Swedish Championships. I myself sailed a red OK-dinghy made in plastic in my 20s. This model is built in scale 1:10 (40cm long) after Knud Olsen’s original blue print and the first completed model, in a series of 10, was delivered to a customer at the end of the Summer. .